WORLDWIDE Chapter 149 Message Board :: View topic - Who is in this old photo? 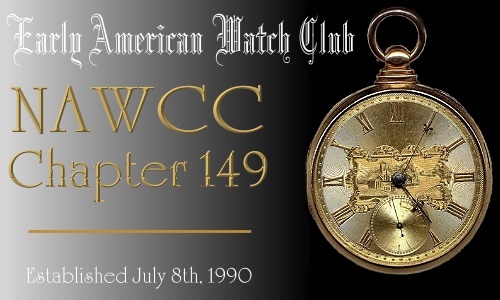 WORLDWIDE Chapter 149 Message Board Forum Index » The Watch Collectors' Journal » Who is in this old photo? Who is in this old photo? Was going through some old notebooks and this picture fell out . It was in some of Art Z stuff. I have seen it before but can't remember who it is. Looks like a 1940's Flea Mkt or fair. I believe it is Art , his sister and their parents. Reminds me of American Pickers. I base my accurate answer because I knew his sister and his mother well. His father died before I knew Art. I knew the family since the 1960s; his mother was an advanced doll collector. Art began with old radios. What a great photo. Thanks for the info Jon. I believe Art's files were pretty well organized, until a fire forced him to move quickly from one townhome to another. At this time, I believe that most of his organization was lost. A few years ago, I acquired a majority of his watch related files and in the process of sorting through the many boxes, I found quite a few pictures and other personal documents. Fortunately, I was able to return most of these to Art well before he passed. In regards to Jim's picture, I would defer to Jon as he certainly knew Art many years before the rest of us. The attached picture from 1963 also includes Art (bottom right corner) and certainly looks like an older version of the young buck in Jim's picture. The later picture was taken at a birthday party for the wife of Bill Kratville, who was a good friend of Art's and among other interests also served as an "official photographer" for the UP Railroad in Omaha. Bill owned his own Pullman car, which he used for events such as this as well as traveling to Nebraska football games. The car now is on display in the Durham Museum in Omaha. What a fantastic picture. Thanks Rhett.